*In 2014, the journal will transition from quarterly to bimonthly. 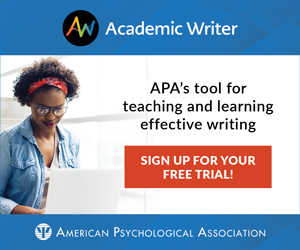 This relatively recent journal published by the Association for Psychological Science is an outstanding publication with high quality articles that are extremely well cited. The editors are very well known and well respected scientists and there is international diversity on the editorial board and among authors. The editors are to be congratulated on an excellent academic journal and we wish them continued success. At the inception of the journal, it was especially important to be proactive in soliciting manuscripts to ensure the breadth of the publication domain was represented and to help establish the standards of quality. We are not just publishing a journal; we are crafting an area and featuring the best science in the world from a very novel perspective. We want to know what any science and professional discipline can contribute to our theoretical and empirical understanding of mental health broadly conceived. To that end invitations were sent to senior researchers from many different countries to obtain manuscripts. The goals for the coming year move in a few directions. Challenges to address are highlighted here with the means by which they will be addressed. Increase Suitable Submissions. We still receive empirical submissions that are not ready for prime time, either because the articles are not adequately prepared or because they are well outside of our domain. For the former, I hope to prepare guidelines for such papers that convey what we are looking for and how manuscripts ought to be prepared. This is not a matter of format but rather the substantive issues we seek and how to make the case that the study warrants publication in CPS. These guidelines may be useful for all authors. Regarding the latter, this type of submission should decrease as our publication domain and mandate are made clearer. Encourage Early Career Authors. In the effort to establish the journal, naturally we sought senior authors whose work is well-known, highly awarded, and heavily sought. That still is the case. However, it is equally important to have a balance with early career researchers and to be sure they are fully represented and encouraged to contribute to the journal. In this next year, we will accelerate invitations to early career researchers both to prepare articles and to develop series of articles. Along with this will be letters of encouragement (more like invitations to submit a manuscript with less of a commitment to publish). A huge investment in the journal’s future will be to move to early career researchers. Early career authors might be considered an underrepresented group in our journal. That raises the broader topic of diversity. At all levels and through efforts already in place, we seek diversity to ensure representation in invitations by ethnicity and gender. We also seek cultural diversity, and a significant number of our invitations are to authors outside of the US. Clarifying and Expanding the Margins of the Journal Domain. Clinical psychological science as a domain is quite broad. The breadth of topics and published articles to date is remarkable. Yet, we have not approached the edges of the universe of pertinent topics. I have alluded to some of these in the list of invited papers. Some of the topics are infrequently included in core journals in clinical psychology and psychiatry (e.g., epigenetics, disease and mental health); other topics have difficult-to-find research programs because they are so new (e.g., microbiome, connectome, and psychiatric dysfunction). CPS is on the hunt for such articles because they help define the boundaries while emphasizing cutting-edge topics. Apart from boundary-type articles, the goal is to better represent more core areas. For example, addictions have enormously rich bodies of research (e.g., nonhuman animal models, human laboratory studies, and the full range of clinical studies at multiple levels of analysis). As another example, interpersonal violence has many manifestations (e.g., domestic violence, sexual abuse, child abuse), and these are related to both mental and physical health in the short and long term. Both the examples I have mentioned are core to our journal and yet not well represented. A goal for the coming year is to fill out the palette of core topics as well. There is a truly remarkable team that has made the journal work so well. In addition to the invaluable contributions of CPS’s inaugural Consulting Editors, the four Associate Editors (Tyrone D. Cannon, Emily A. Holmes, Jill M. Hooley, and Kenneth J. Sher), who all run hugely productive research programs, have piles of grants, and have scores of professional commitments, have stayed with the journal a second year. This initial stability has been so helpful to our accomplishments to date. I am delighted to be part of this amazing team and look forward to another successful year. To read more about the journal’s domain and goals, please see Kazdin’s January 2014 editorial at http://cpx.sagepub.com/content/2/1/3.full. 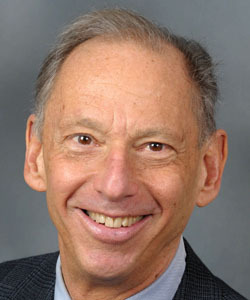 Alan E. Kazdin is the Editor in Chief of Clinical Psychological Science, the John M. Musser Professor of Psychology and Child Psychiatry at Yale University, and Director of the Yale University Parenting Center, a clinical-research service for children and families. Kazdin is an APS James McKeen Cattell Fellow.